Tags: community, Inspiration, Peak Potential, Randy, success, Support. Take me directly to the Seventh Annual Peak Potential Page – I am Coming to the Event! 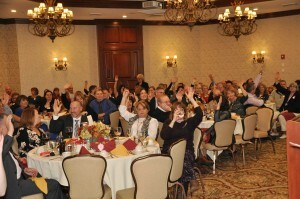 Lively participation in our live auction at Peak Potential 2015. 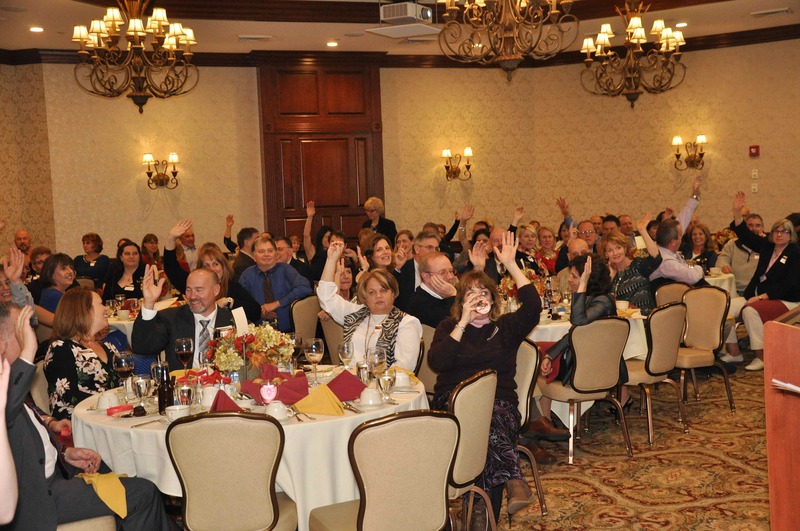 On July 12, the price goes up for a table of 8 to join us at our 7th Annual Peak Potential Dinner and Auction. But there’s still enough time for many of you to take advantage of our best rate by putting together a table of 8 friends and buying a table together. Until July 12, the price for a table is just $500, which breaks down to $62.50 per person. (The table price goes up to $600 after that, and individual tickets are always $100 per person.) We invite you to join us at the Courtyard Marriott in Nashua, our largest and finest venue yet, which we hope will be our home for the foreseeable future. Your kind choice will help us continue the mission that our all-volunteer staff, myself included, work incredibly hard to provide throughout the year. You become part of the positive change in the lives of the more than 50,000 students we have reached in our school visits as well as thousands more outside of the school programs. Meanwhile, we expect to reach significant landmark donations to each of the worthy organizations we support, Guiding Eyes for the Blind and the New Hampshire Association for the Blind. All of the work we accomplish comes from the community of support we’ve built and the vast majority at this event each year. You may of course purchase individual tickets or paired tickets at any time and tables will still be available until they sell out (we hope once again!). By choosing to purchase a table earlier, you will save a little–which we encourage you to use on the auction or to help entice you to bring friends with you to experience our signature event. Help us ensure it is a complete success by getting on board early. The event isn’t until November 12, but our planning is fully under way and the more tables sold in advance the easier it becomes for us to bring on more sponsors, donors, and features to this marquis event. I truly hope to see you there and commit to providing a few worthy surprises on the night of the event! So I missed something which may be important to several people. What if you want to pay by mail instead of online? Simply drop me an email immediately via Randy@2020visionquest.org Let me know you are sending your payment by mail to “2020 Vision Quest” and as always we will take the names of your guests and meal choices when you are ready though we won’t absolutely need them until October. We will follow up as necessary when the event is closer for those details. Thank you!